Dubai is indisputably the luxury goods center of the Middle East. The burgeoning market – which boasts wildly upscale shopping centers and its own version of Fashion Week – is not without its setbacks, namely, a plentiful supply of counterfeit goods. In 2017, alone, more than a half of a billion dollars worth of counterfeit goods were taken off the streets of Dubai. So far this year, even more have been confiscated, as authorities continue their years-long efforts to tackle a global trade that damages legitimate businesses and fuels organized crime and terrorism, and that shows no signs of slowing. Equipped with the region's largest port and the title of the Middle East's tourism capital, it is only fitting that Dubai has been struggling with an influx of counterfeit goods, but as the highly-populated city continues to rise in prominence as a must-visit destination for world travelers, its Department of Economic Development, which regulates the sale of goods in Dubai, is working overtime to cut down on the sale of counterfeit goods. In recent years, the Department has ramped up its efforts, routinely revealing seizures of counterfeit goods, and has also taken to partnering on joint actions with luxury brands, such as Louis Vuitton, in order to curb the manufacture and sale of counterfeit goods in the region, a mutually beneficial move for brands seeking to crack down on bad actors but also for a city that aims to make a name as a home for authentic luxury goods, alike. 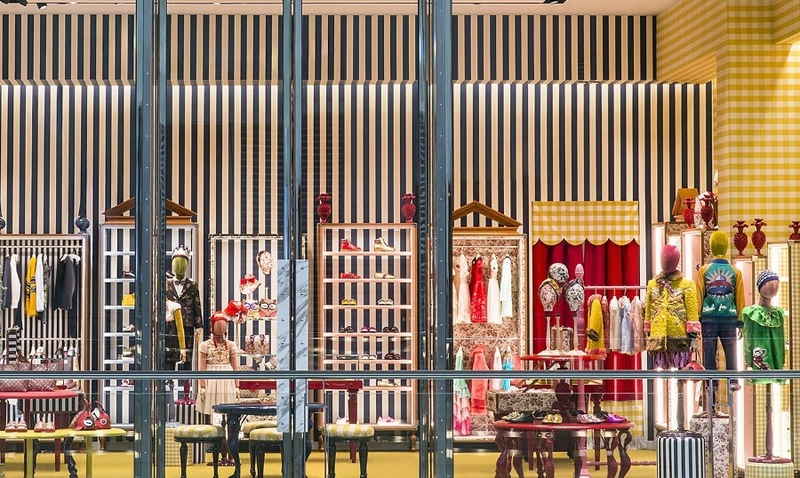 The large-scale push to fight fakes comes as Dubai has been investing heavily in positioning itself as a fully-fledged fashion capital. More than 2,000 brands are on a waiting list for retail space in the Dubai Mall, which is now being extended to accommodate an additional 160 stores. Based on the fact that the mall itself attracted 80 million shoppers in 2016, alone, and the daily average of $1,800 in sales per square foot for its resident stores, it is hardly a surprise that luxury brands want in. While cheap "Louis Vuitton" bags or other fake luxury goods might be a lure for some travelers, they are certainly not appealing to bona fide luxury shoppers or to the luxury brands that are expanding their operations in Dubai. As such, the motivation behind the Department of Economic Development's efforts to cut down on fakes is not purely legal in nature but is likely meant to serve as a form of reassurance to these luxury brands and consumers, alike. Because tourism serves as an integral part of the Dubai government's strategy to maintain the flow of foreign cash into the emirate, Dubai's reputation as an internationally-renowned hot spot for shopping is important. As such, it is in its best interest to work with brands to keep counterfeits out of legitimate retail spaces, and to instill confidence in consumers that its retail environment is one of both luxury and authenticity. With efforts being placed simultaneously on fostering domestic design talent and building sustainable relationships with the fashion industry's most well-heeled brands, and the near constant presence of deep-pocketed residents and tourists, it is only a matter of time until Dubai emerges as a truly formidable fashion center. Plus, with the World Expo set to take place in Dubai in 2020, it is difficult to see the city becoming anything but increasingly luxury-friendly in the near future.